Just like the great Beatles song says, friends help. I ran the 34th Milo Elimination Marathon 2010 solo in 4:08:30 and this was one of the few races I wanted to do a did-not-finish. Having a race friend gives you added incentive to keep going when the going gets tough. 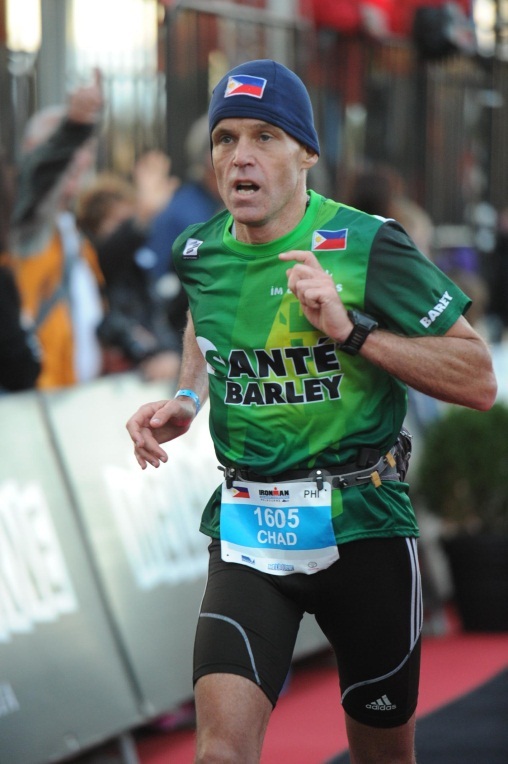 I ran Cam Sur Marathon in 2010 in 4:15:30 after averaging over 100km per week in the previous 5 weeks. I thought more would be best but I entered this race tired mentally and physically. It is best to be fresh and ready on race day. I ran Quezon City Marathon in 2010 in 3:44:25 which was my first time under 4 hours. My running buddy Jualyn Baugbog set off at a fast pace after the starters gun. I was tempted to keep his pace but stuck to my pre-race plan. The result was that I was waiting at the finish line for my mate with my new personal best and first time under 4 hours. I was thrilled to set my new personal best at Condura Marathon in 2011 in 3:30:38. 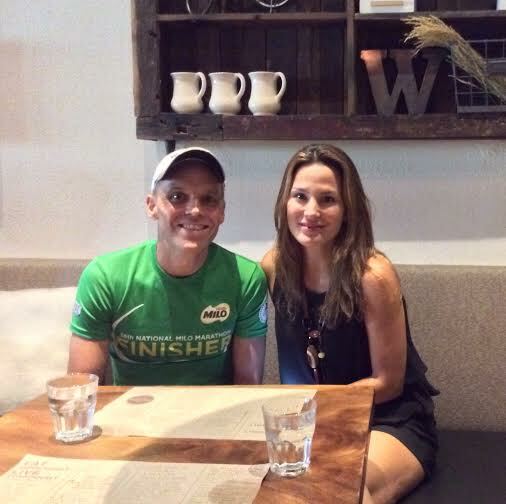 Luckily I was able to do lots of Boracay beach running (as well as hill running) in the weeks before the race and this helped make me stronger. I have since learned that trail running also makes you a lot stronger. 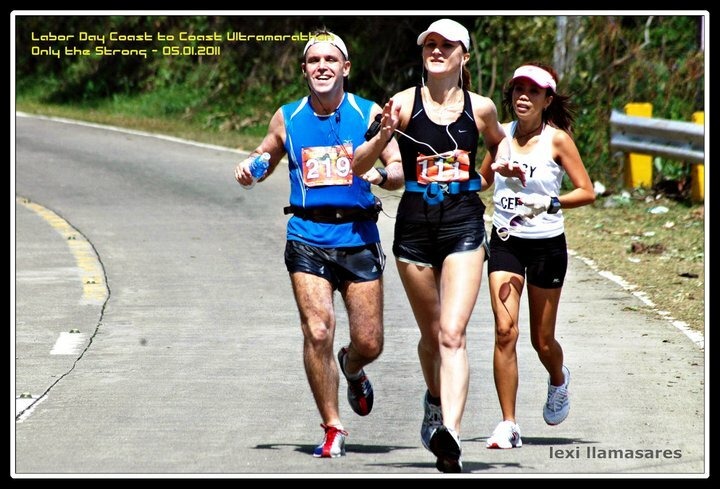 I ran the Cebu Coast-to-Coast 65km Ultra Marathon in 2011 in 7:27:54 and learned to always study the race route before hand. This then allows you to come up with your race plan that you then try to stick to. Natasha and I had a great race as our race tactics worked out perfectly. We walked the uphills, ran the downhills as fast as we could and planned our drink stops well. I loved the 35th Milo Elimination Marathon in 2011 which I ran in 3:45:27. I trained hard 10 weeks out from the race but then eased off with 2 weeks to go. The result was a place in the Milo Finals for the first time after my second attempt. I ran Manila International Marathon in 2011 in 3:33:27. This was a strong result for me as I came in 14th place. It helped that kept a log book of my previous performances and knew not to over or under train. I learned from my previous successes and failures. I ran the 35th Milo Marathon Finals in 2011 in a disappointing 4:01:52 but was happy with the result as I had shin splints in both legs. I was happy to simply finish and learned to listen to my body and not push it too hard. I also learned that excessive running with excessive weight can lead to shin splints! I ran the marathon leg of the Japan Ironman in beautiful Hokkaido in 2013 in 4:17:11. I was happy with the result but felt I consumed too much liquid during the marathon which then bloated me and slowed me down. I recommend to drink to thirst as opposed to a formula of drinking a certain amount of liquid per hour. It is possible to over-hydrate as well as being dehydrated. I set my new personal best (pb) at Melbourne Ironman 2014 with 3:28:27 despite having just biked 180km. You do not see any overweight champion runners. I attribute my pb to my new Primed Lifestyle as it helped me to race at my lightest ever weight of 64 kilos. I ran Normandy Marathon in 2014 in 3:54:36 but was on track for a personal best sub 3:20 until the 38km mark. Having raced most of my marathons in the heat of the Philippines I ran this Marathon in my usual ultra-light k-swiss shoes and minimal clothing. It was a freezing morning with the biting winds coming off the North Sea meaning I was under-dressed. I should have worn thicker shoes, thicker socks, long pants and a second layer on top. I had to walk the final 4km to the finish line due to the crippling cramps from the cold that had crept into my legs. I do not yet know what lessons I will learn from the 38th Milo Elimination Marathon on July 27th, 2014. I do know that I will be proud of myself as I stand on the starting line, I will learn from the marathon and I will enjoy every step of the 42.2km journey. Whatever happens in your race, be proud of yourself as the journey is more important than the final destination. Stumbled upon your blog through FB. Nice to know someone from my age group who’s also blogging. It’s insane how you managed to get a run PB on your IM. Congrats. And thanks for the marathon tips, I’ll need it.